Family K9 Training in Orlando is a dog training company that specializes in dog obedience & behavior modification for your family pet dog! Call +1(407) 710-2952 for more info! Family K9 Training in Orlando is a dog training company that specializes in dog obedience & behavior modification for your family pet dog! Call +1(407) 710-2952 for more info! Here at Country Style Dog Grooming & Doggy Day Care in Sherborne we offer a luxury experience for your well loved dogs. We offer a range of packages, whether you wish to bring your dog(s) to us to be pampered then pick them up when they're done or leave them with us for the day, pampered or not or whether you wish to drop them off on your way to your holiday destination, they will be in good hands. Here at Country Style Dog Grooming & Doggy Day Care in Sherborne we offer a luxury experience for your well loved dogs. We offer a range of packages, whether you wish to bring your dog(s) to us to be pampered then pick them up when they're done or leave them with us for the day, pampered or not or whether you wish to drop them off on your way to your holiday destination, they will be in good hands. We have been in the business since 2008 and founded our company in Virginia Beach in 2015. We are fully licensed, bonded, insured and pet first aid and CPR certified professional pet sitting company. We believe that the best education is experience and in our time as pet sitters we have taken care of all sorts of pets from the easy going Golden to providing hospice care for a partially paralyzed Great Dane. We have been in the business since 2008 and founded our company in Virginia Beach in 2015. We are fully licensed, bonded, insured and pet first aid and CPR certified professional pet sitting company. We believe that the best education is experience and in our time as pet sitters we have taken care of all sorts of pets from the easy going Golden to providing hospice care for a partially paralyzed Great Dane. My name is Sylvia Jones and I am a graduate of Animal Behavior College where I earned my certification as an ABC Certified Dog Trainer. Animal Behavior College (ABC) is approved by the Bureau for Private Postsecondary and Vocational Education and is an internationally recognized school. My year long commitment to this program has provided me with a formal education in canine obedience training and understanding behavior and its motives. My name is Sylvia Jones and I am a graduate of Animal Behavior College where I earned my certification as an ABC Certified Dog Trainer. Animal Behavior College (ABC) is approved by the Bureau for Private Postsecondary and Vocational Education and is an internationally recognized school. My year long commitment to this program has provided me with a formal education in canine obedience training and understanding behavior and its motives. NYC Pooch is proud to be New York City's most trusted dog walking company since 2002. Offering NYC Dog Walking, NYC Dog training, NYC pet sitting, NYC dog grooming services and more. NYC Pooch is proud to be New York City's most trusted dog walking company since 2002. Offering NYC Dog Walking, NYC Dog training, NYC pet sitting, NYC dog grooming services and more. Raising Your Pets Naturally embraces all of my loves: dog behavior, dog training, cat behavior, dog and cat nutrition, pet care, pet product reviews, traveling with dogs, pet and human health, and of course, lots of fun and useful information. I provide pet parents and pet professionals an array of services including: dog training (in person or via phone/Skype), cat behavioral training, pet and human articles and videos, product reviews, freelance writing services. Raising Your Pets Naturally embraces all of my loves: dog behavior, dog training, cat behavior, dog and cat nutrition, pet care, pet product reviews, traveling with dogs, pet and human health, and of course, lots of fun and useful information. I provide pet parents and pet professionals an array of services including: dog training (in person or via phone/Skype), cat behavioral training, pet and human articles and videos, product reviews, freelance writing services. Dog groomers in Nottingham, Nottinghamshire. We are friendly, kind, experienced, professional, and we absolutely adore dogs! We offer full grooming, or just a quick wash and go. We also offer individual services such as ear cleaning and nail clipping. Please call us to ask us any questions or to book an appointment! We look forward to hearing from you soon. Dog groomers in Nottingham, Nottinghamshire. We are friendly, kind, experienced, professional, and we absolutely adore dogs! We offer full grooming, or just a quick wash and go. We also offer individual services such as ear cleaning and nail clipping. Please call us to ask us any questions or to book an appointment! We look forward to hearing from you soon. 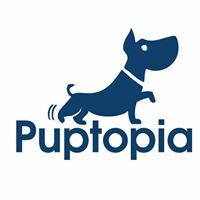 An in-home pet care solution offering dog walking, pet sitting and overnights. All visits are GPS tracked and include detailed notes and pictures of how each visit went, all e-mailed to you. We're bonded and insured. All walkers go though an extensive interview process and background check. Our Pet Pros go through Dog/Human Behavior training as well as First Aid and CPR training. At Prairie Path Pet Care we believe pets ARE family. An in-home pet care solution offering dog walking, pet sitting and overnights. All visits are GPS tracked and include detailed notes and pictures of how each visit went, all e-mailed to you. We're bonded and insured. All walkers go though an extensive interview process and background check. Our Pet Pros go through Dog/Human Behavior training as well as First Aid and CPR training. At Prairie Path Pet Care we believe pets ARE family. If you are looking for highly professional and affordable dog grooming services, visit Maximum K9 Service. Maximum K9 Service is one stop shop for your entire dog grooming service necessities. We’ve built our store to educate and offer natural products to all consumers. We also provide our clients with our retail store and Maximum K9 Training facility. We at Maximum K9 Service are dedicated in providing quality dog grooming services in pocket friendly price. Visit now! If you are looking for highly professional and affordable dog grooming services, visit Maximum K9 Service. Maximum K9 Service is one stop shop for your entire dog grooming service necessities. We’ve built our store to educate and offer natural products to all consumers. We also provide our clients with our retail store and Maximum K9 Training facility. We at Maximum K9 Service are dedicated in providing quality dog grooming services in pocket friendly price. Visit now! Metro Pets Pet Boutique works hard to have everything you and your pet could need. From treats and toys to training supplies. We also have a self wash, where on your first visit staff will happily walk you through the proper way to wash your pet. We also offer classes in our training room. Those range from puppy to manners, even specialty which include nose work and agility. Please feel free to drop by for a visit and bring your four legged best friend. Metro Pets Pet Boutique works hard to have everything you and your pet could need. From treats and toys to training supplies. We also have a self wash, where on your first visit staff will happily walk you through the proper way to wash your pet. We also offer classes in our training room. Those range from puppy to manners, even specialty which include nose work and agility. Please feel free to drop by for a visit and bring your four legged best friend. The Pet Republic proudly provides humane and science based dog training to our neighbors in Cambridge. Our trainers adhere to the LIMA principle (Least Intrusive Minimally Aversive) training techniques. We also firmly believe in the power of positive reinforcement. Our goal is to deepen the bond between pet and owner while learning a new skill or adjusting a behavior. The Pet Republic proudly provides humane and science based dog training to our neighbors in Cambridge. Our trainers adhere to the LIMA principle (Least Intrusive Minimally Aversive) training techniques. We also firmly believe in the power of positive reinforcement. Our goal is to deepen the bond between pet and owner while learning a new skill or adjusting a behavior. Alpha Dog Training is an AKC Certified Good Citizen and Good Citizen Evaluator. We have taught dog behavior techniques and behavior modification for 18 years. Alpha Dog Training is an AKC Certified Good Citizen and Good Citizen Evaluator. We have taught dog behavior techniques and behavior modification for 18 years. Wag Resort is a full service dog care facility located in Grand Junction, Colorado. The philosophy of The Wag Resort is a simple one: Provide each and every dog with the very best, individualized care that they deserve. We know that each dog is an individual and all of our services are built around that. We offer dog boarding, dog daycare, dog grooming and dog training. Wag Resort is a full service dog care facility located in Grand Junction, Colorado. The philosophy of The Wag Resort is a simple one: Provide each and every dog with the very best, individualized care that they deserve. We know that each dog is an individual and all of our services are built around that. We offer dog boarding, dog daycare, dog grooming and dog training. Patriot K-9 Services has been providing protection dogs for sale and explosive detection dogs and teams since 1997. We are the original suppliers to the Empire State Building and the New York Stock Exchange. Our teams were the first to go to southern Afghanistan for the Army. Serious Dogs for Serious Times! Patriot K-9 Services has been providing protection dogs for sale and explosive detection dogs and teams since 1997. We are the original suppliers to the Empire State Building and the New York Stock Exchange. Our teams were the first to go to southern Afghanistan for the Army. Serious Dogs for Serious Times! Vet tech pet sitting, dog walking & more for the Rochester, NH area. Professional pet care with all the comforts of home! VetPro Pet Care offers low-stress in-home pet care - the perfect alternative to boarding in a kennel. All of our convenient services are provided by an experienced veterinary technician. We specialize in "special needs" pets - no routine is too difficult for us! Vet tech pet sitting, dog walking & more for the Rochester, NH area. Professional pet care with all the comforts of home! VetPro Pet Care offers low-stress in-home pet care - the perfect alternative to boarding in a kennel. All of our convenient services are provided by an experienced veterinary technician. We specialize in "special needs" pets - no routine is too difficult for us! Website with useful information about stopping dogs biting, barking and contains tips to prevent other dog behavior problems. Features a free newsletter with help and advice. Website with useful information about stopping dogs biting, barking and contains tips to prevent other dog behavior problems. Features a free newsletter with help and advice. 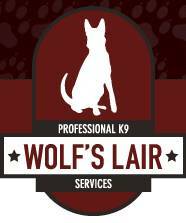 We are – ‘Wolf’s Lair K9’- a professional dog training company, in Northbrook, IL. We primarily provide training to dogs in Northbrook, Glencoe, Winnetka, Kenilworth, Wilmette and neighbouring areas. Our training enables dogs to become mentally and physically stable and helps them overcome unpleasant habits. We are – ‘Wolf’s Lair K9’- a professional dog training company, in Northbrook, IL. We primarily provide training to dogs in Northbrook, Glencoe, Winnetka, Kenilworth, Wilmette and neighbouring areas. Our training enables dogs to become mentally and physically stable and helps them overcome unpleasant habits. We offer Dog Walker, Pooper Scooping, Dog Sitting, Dog Boarding, Pet Sitting, and Dog Waste Removal services in South Elgin, Elgin, St.Charles, Geneva, Batavia, Bartlet, and the rest of Fox Valley.We would like to set up an initial appointment with you,free of charge, to get to know you and your dog(s) and see how we can best serve your family. We offer Dog Walker, Pooper Scooping, Dog Sitting, Dog Boarding, Pet Sitting, and Dog Waste Removal services in South Elgin, Elgin, St.Charles, Geneva, Batavia, Bartlet, and the rest of Fox Valley.We would like to set up an initial appointment with you,free of charge, to get to know you and your dog(s) and see how we can best serve your family.